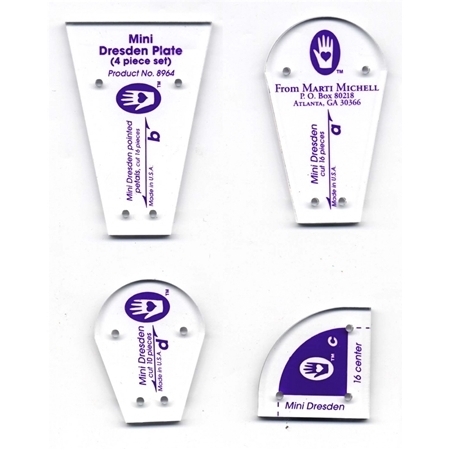 The Mini Dresden Plate Set by Marti Michell includes four templates for cutting shapes to make Dresden Plates in multiple sizes, one with rounded or pointed petals! Several variations. Includes step by step cutting and sewing instructions for making blocks and Line and Turn technique for finishing the tops of the rounded petals. 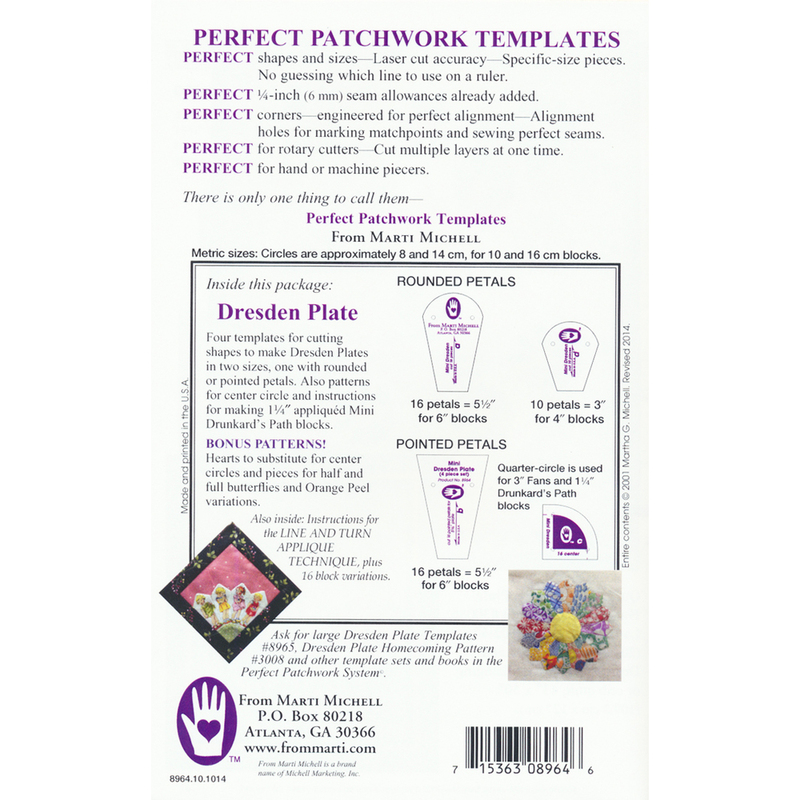 Also consider purchasing the regular sized Perfect Patchwork Templates - Dresden Plate Set. 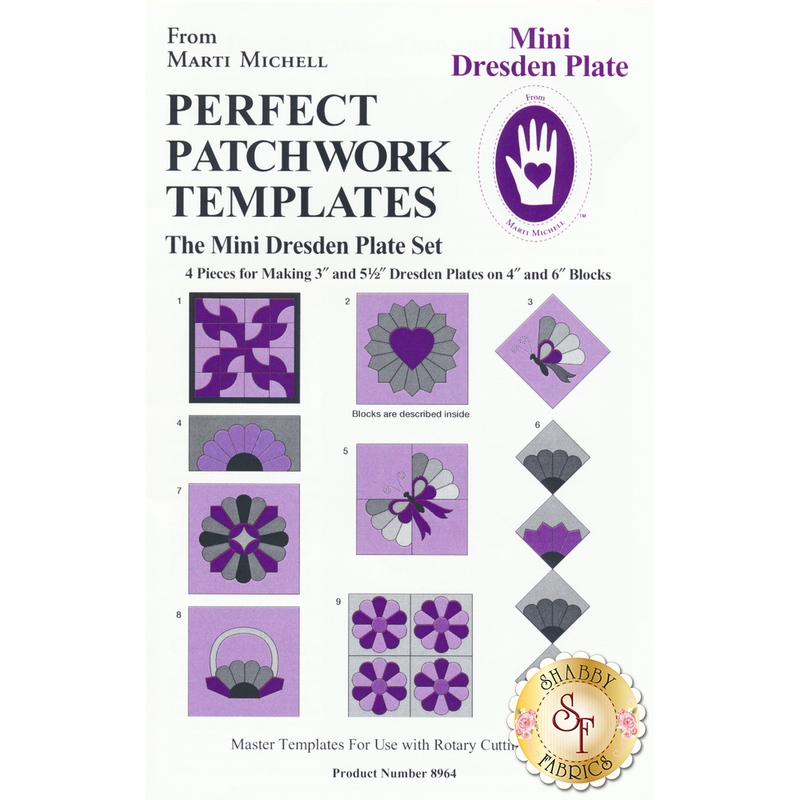 Follow along with Jennifer in the video below for additional tips on how to make a Perfect Patchwork Dresden Quilt Block with the regular Dresden Plate template set!